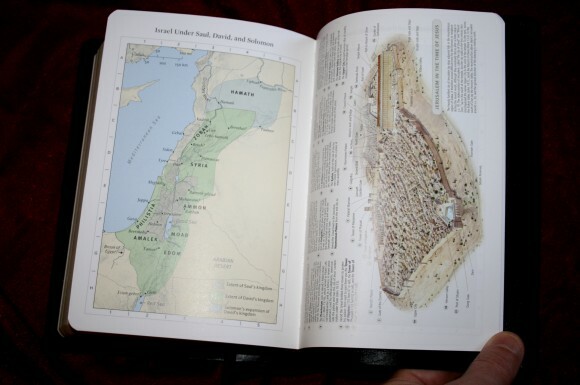 The Single Column Heritage Bible from Crossway is a hand size edition that is the perfect size for reading. 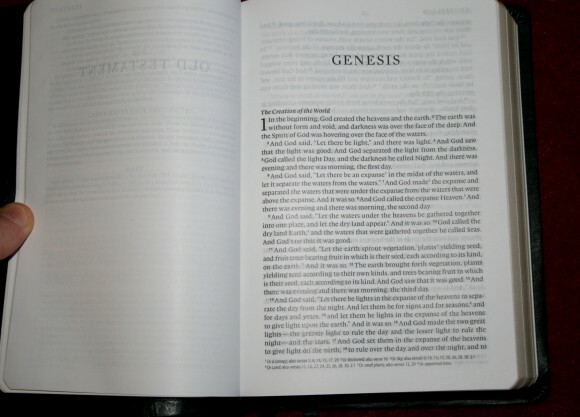 It has a single-column paragraph layout and a large enough text to read comfortably, and it’s the perfect size for carrying and holding in one hand. 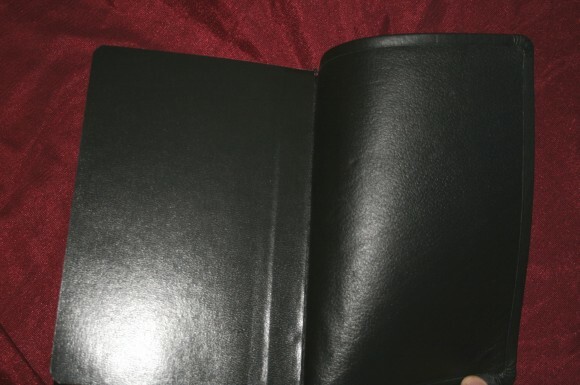 The cover on the edition I’m reviewing is black calfskin leather. It’s very soft. The cover wrinkles when bent. It also has a leather liner. 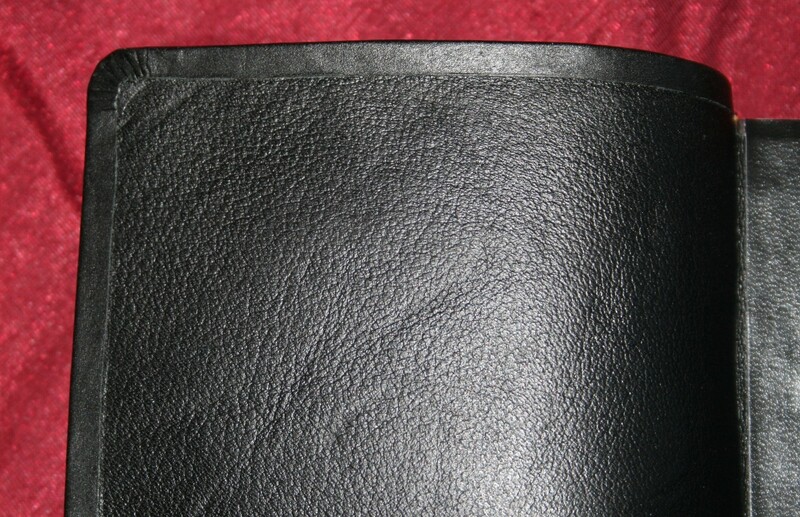 The cover is glued to the liner rather than stitched. The outside edges fold back in over the liner. It looks clean. The spine has raised hubs, which I like a lot. 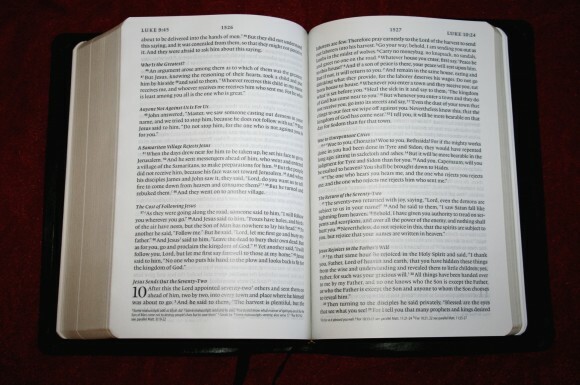 I don’t know why, but raised hubs gives a Bible a look of quality in craftsmanship. It feels expensive and old-world. 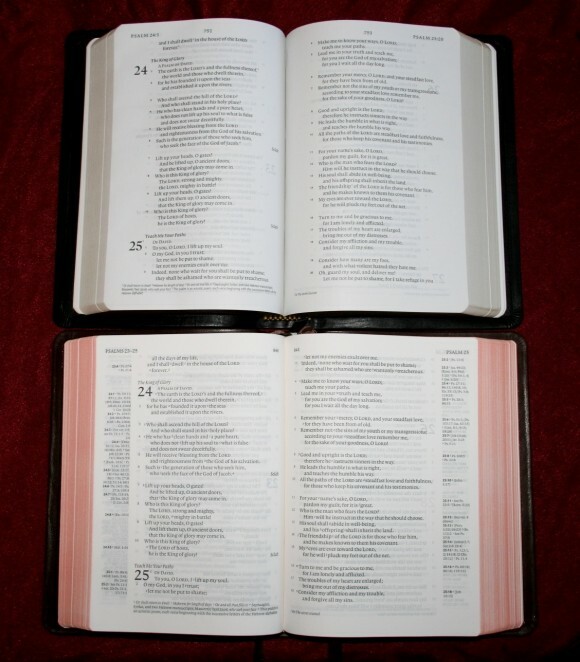 The raised hubs on this cover look as good as any I’ve seen and fit this Bible nicely. The binding is sewn. 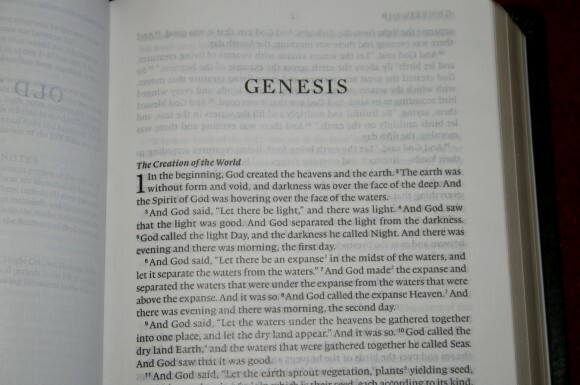 It has trouble lying flat in Genesis and Revelation. It starts to lay flat somewhere in Exodus. The 9-point font is very easy to read. It’s between a medium and semi-bold, which is just the right amount of boldness for me. The print quality is consistent throughout so there is no fading. There is also a lot of space between the lines. It’s at least a 10-point leading but it could be more. It has line-matching which greatly improves readability. This is a very readable text. The paper is not as opaque as I would like. It has a white tint and is thicker than the Clarion, but has about the same opacity. I prefer the cream tint of the Clarion to the white tint, but that’s me. The white looks fine and the paper quality isn’t bad. I’m not sure of the gsm, but it’s not too thin. 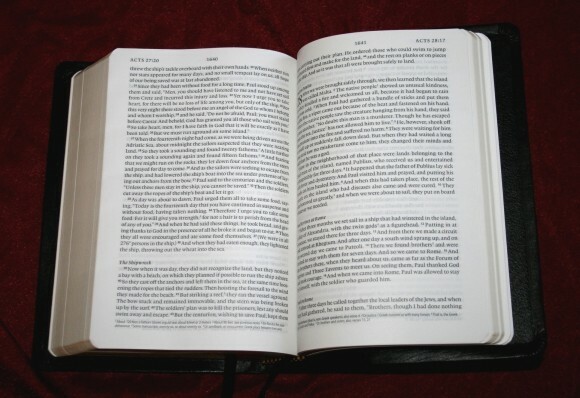 The text is presented in single-column paragraph format. Poetry is set in verse format. Old Testament quotes are also presented in verse format so they stand out really well. New chapters are indicated by very large chapter numbers. At the top of the page is the range of verses that appears on those pages. Verse numbers within the text are in smaller font than the Scriptures. There is a lot of space between the verses. 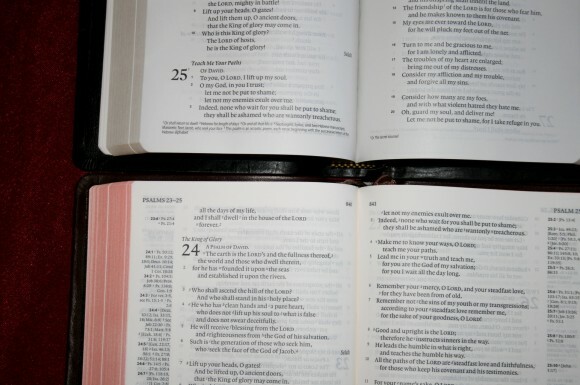 This makes the verse numbers easier to find. 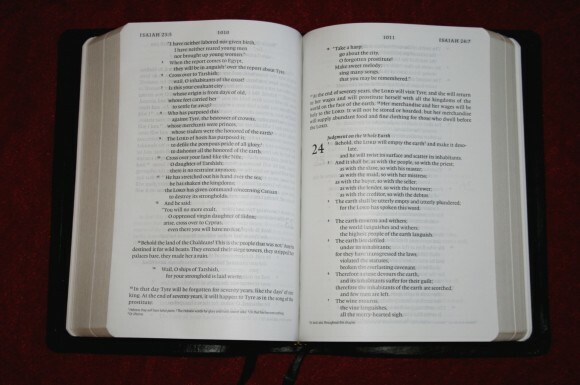 I usually have trouble tracking down a specific verse in paragraph format, but this one is easier than most. Translation notes appear at the bottom of the page. They are keyed to the text with numbers. Section headings are in italics. They stand out nicely without being distracting. There are 8 color maps in the back. The colors are mostly earth-tones of green and tan. They’re the same maps found in the ESV Study Bible. I would like to see an index. That would make them more useful. There are two black ribbons. They feel silky and they’re more than long enough to be useful. 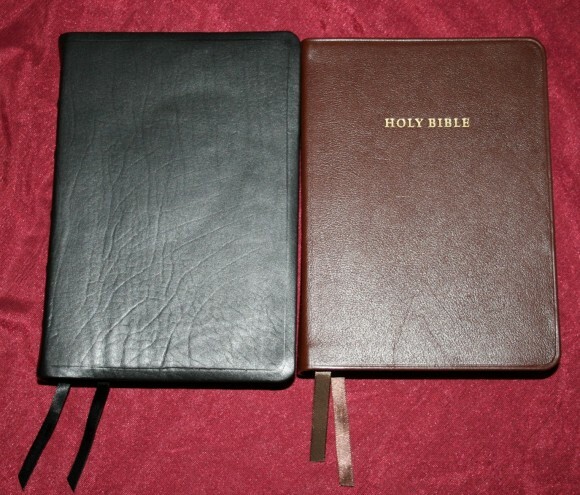 For its size and price I can’t help but compare it to the Cambridge Clarion. 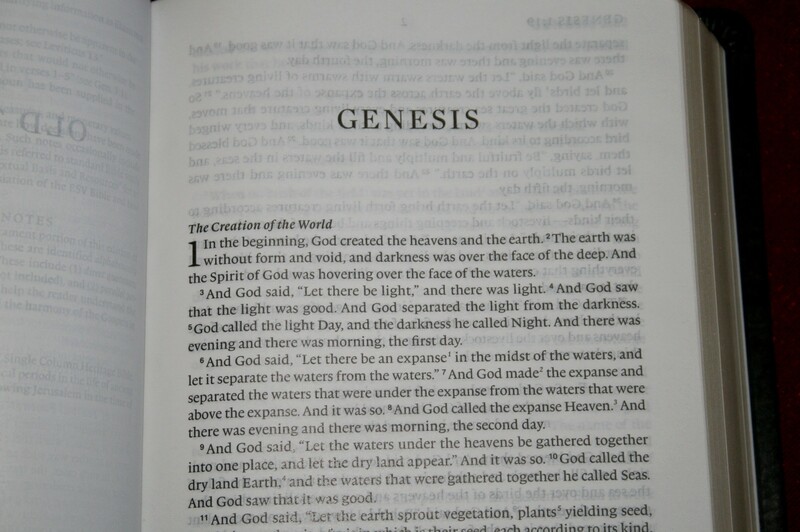 The Clarion is slightly smaller, has an 8.75 font, references, and a concordance. The Single-Column Heritage is a little taller, has a 9-point font, and no references or concordance. Between the two, for the $100 price range, the Clarion gives you more (unless you’re not interested in a concordance or references). However, if you’re considering the imitation leather editions around the $40 price range the Heritage is hard to beat. 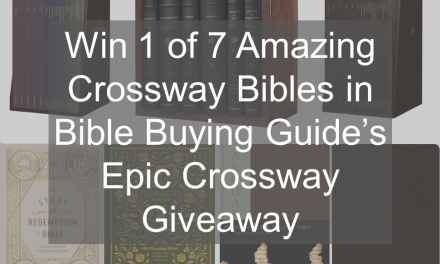 Crossway provided this Bible free for review. I was not required to give a positive review- only an honest review. My initial thoughts after seeing the pics of the layout are WOW! The readability of the text looks incredible. It is really clean. I am getting one of these this week in a trade. My wife has the brown ESV Clarion so there will be a good side by side contrast. The thick hinge, cheaper paper and Chinese printing, and chemical smell to some covers seems to be the chief criticisms. Does anyone have any thoughts after having theirs for a year? Hi Paul. Please let us know what you think about how they compare. 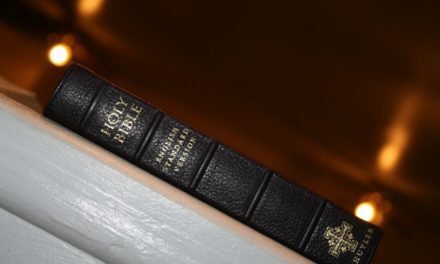 I am a little late to the game but I have been wanting to comment on this bible for some time. I like this bible (for the most part), especially the single block layout and the size of the print. 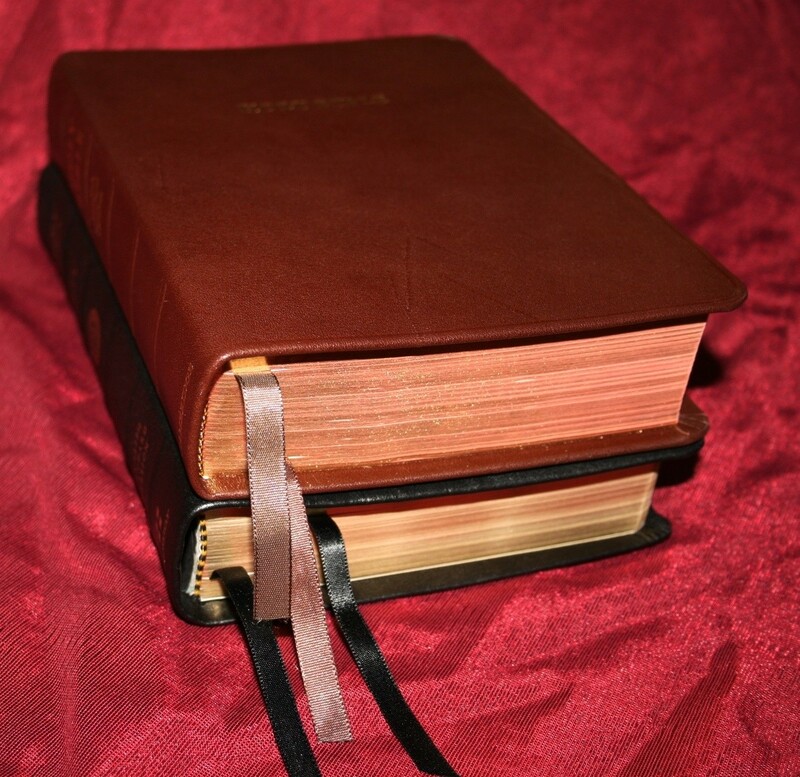 I am not too crazy about soft calfskin. I would rather have this in cowhide but my main complaint is the paper. Regardless of what the little note insert says about using quality paper, I have serious doubts. The problem I have with it is it is so slick and shiny, almost like wax paper. (I exaggerate). 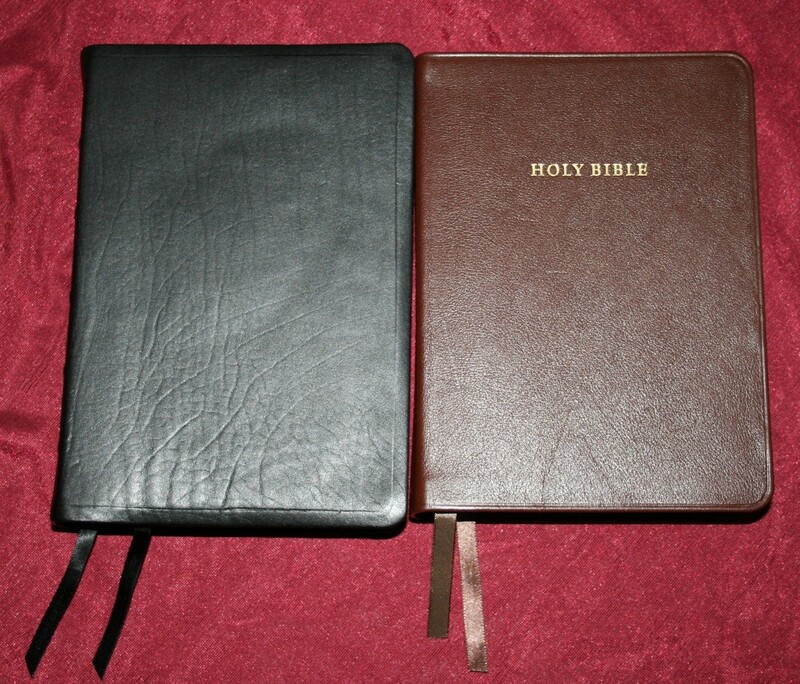 I have another bible (cheap) by Thomas Nelson that uses this exact same type paper that is shiny and slick and I noticed both of those bibles seem to be heavier than they should be, given their small size and the thickness of the paper itself. I have seen this weight issue before in inexpensive books using cheap paper. 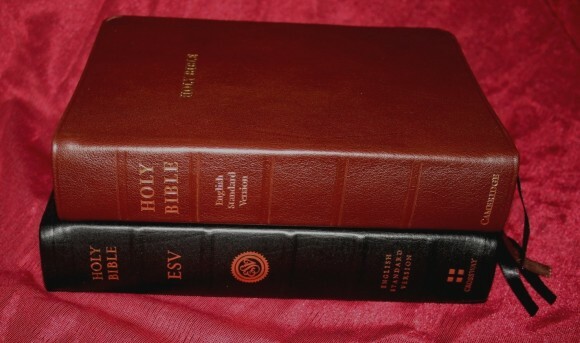 I have a couple of Cambridge Clarions and the paper is perfect (no shine) and while the Cambridge Clarions are slightly larger (see above photos) they actually weight less than this smaller ESV Crossway. 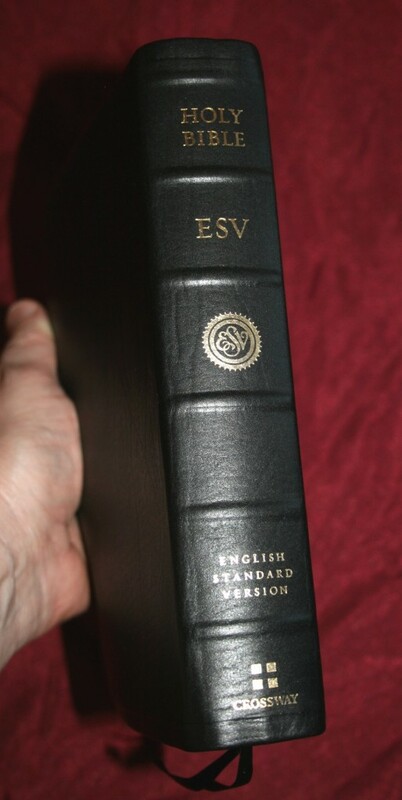 This tells me that Crossway or a least the Chinese binders are using a cheaper grade of paper in this bible which is disappointing as I really like the size and block of this ESV edition but is very annoying reading. 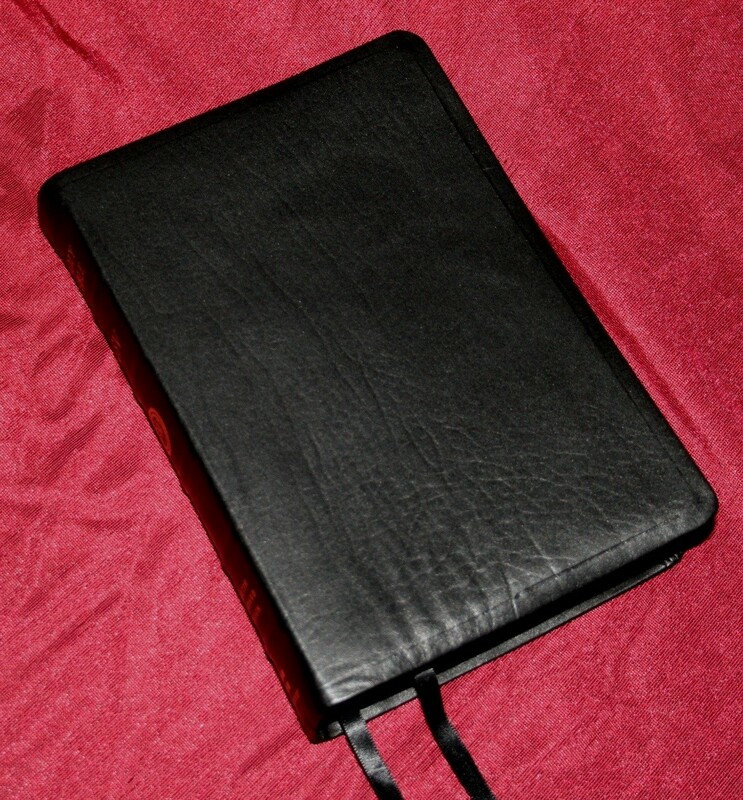 I received my Heritage in black calfskin a few days ago, and I love it. The calfskin is thick, soft, and supple, and is cleanly finished inside. 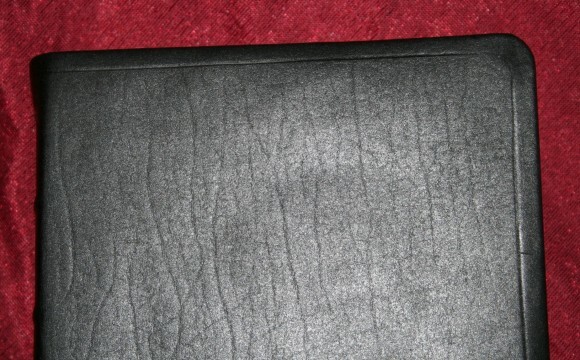 The leather lining is also very nice. The only scent is of leather. After minimal use, it now easily lies open and flat or nearly flat from beginning to end. I love the handy size and uncluttered format, and the 9 pt. type is very readable. (I want at least 9 pt. type.) The paper seems average to me, and thicker and more opaque than the Clarion’s. At under $110 at CBD, I’m very pleased with it. Hi bnf. Thanks for sharing. I’m glad you like it. Thank for helpful review. I just purchased a Heritage and this review helped make my decision. I haven’t received it yet but will further my aspect on it when I get it in a few days. Thanks Patrick. I can’t wait to hear your thoughts about it.